Patricia is a College Assistant in the Department of Engineering Science and Physics and has been nominated for her Outstanding Job Performance, Creative Contribution and Exceeding the Goals of a Project. 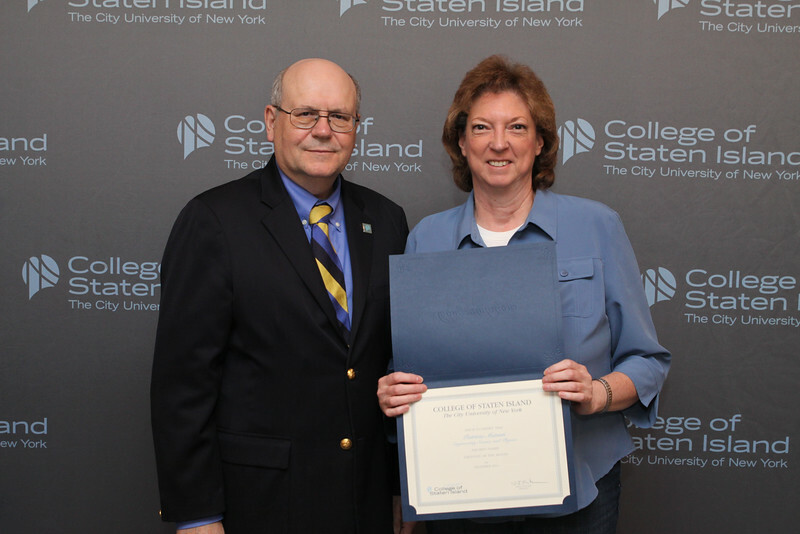 A highly dedicated and motivated employee, Patricia made the department’s transition from SIMMS to CUNYFirst as painless as possible. She figured out a way to troubleshoot CUNY Central’s CUNYFirst instructions and devised a step-by-step process that made it more efficient and comprehensible. Her information sheets became so popular that they were in great demand by other areas. With respect to the department’s ABET accreditation, Patricia collected complex and painstakingly accurate data, in half the time than expected, which led to the successful submission of the ABET report. Furthermore, she was highly instrumental in recognizing student design projects in the brochure for departmental graduation ceremonies.